Operating and maintaining high voltage systems requires experienced engineers & technicians with specialist skills. 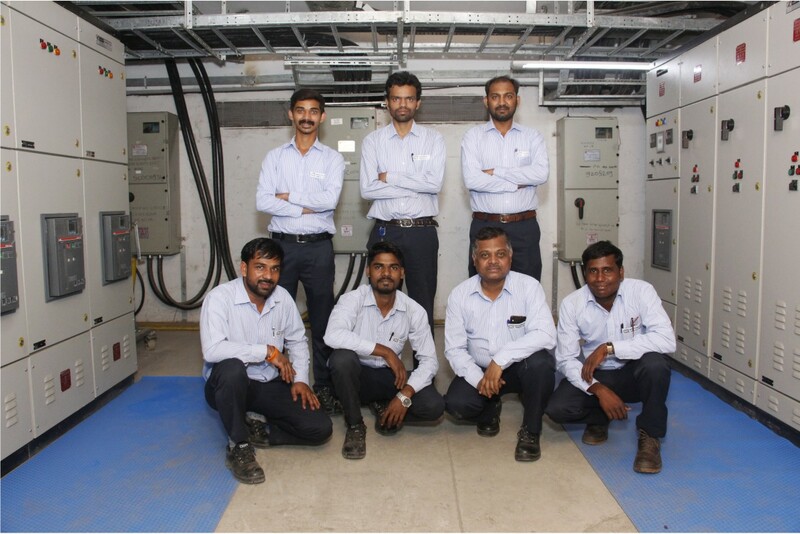 GEPL fulfills this requirement for our customers through operating and maintaining their High Voltage networks (HV switchgear, transformers & substations) up to and including 33kV equipment. GEPL Maintenance team have developed maintenance strategies for clients and carry out agreed maintenance contracts over short and long term options. Our experienced & skilled electricians are committed to help client when unexpected electrical failures occur. Our 24 hours emergency service ensures that we will be there when you need us. 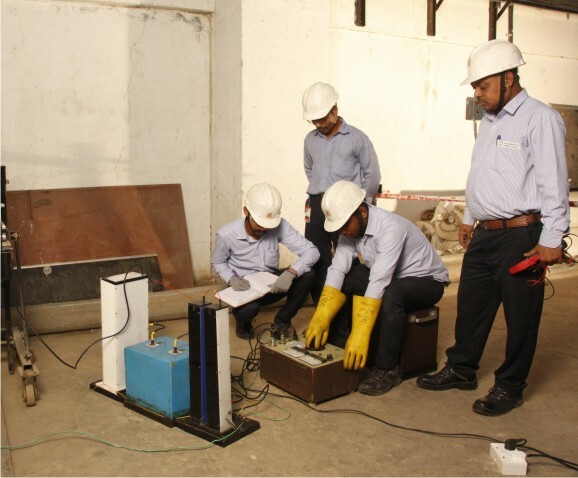 The testing and commissioning of high voltage electrical equipment is a highly specialized activity. With every HV electrical installation our trained engineers carry out their specified area of work to the highest technical and safety standards. We carry out detection of cable fault location on either over ground or underground LV cables & HV cables up to 33kV. We also manage the required civil work to expose the problematic cable and undertake jointing. Cable jointing & terminations form the successive part to “Cable Fault Finding”. In case of cable failure in an existing installation, it would be prudent to go in for removal of the damaged portion and replace this section with a new length by jointing with the healthy portions of the cables. We are specialized in providing High Voltage Cable Jointing services. We offer this from LV to HV cables up to 33 kV. Every cable, whether it is LV type or HV type needs proper termination with earth conductor so that a cable run can be connected to a piece of equipment, usually a circuit breaker, a transformer, a motor and so on. GEPL uses proper termination kits with proven test results in order to provide faultless terminations. Our teams are trained to current up-to-date technologies such as cold shrink, heat shrink products from reputed manufacturers such as Raychem & 3M. Our highly experienced teams of skilled jointers have performed this task successfully in shortest possible time for our valued industrial & commercial customers. 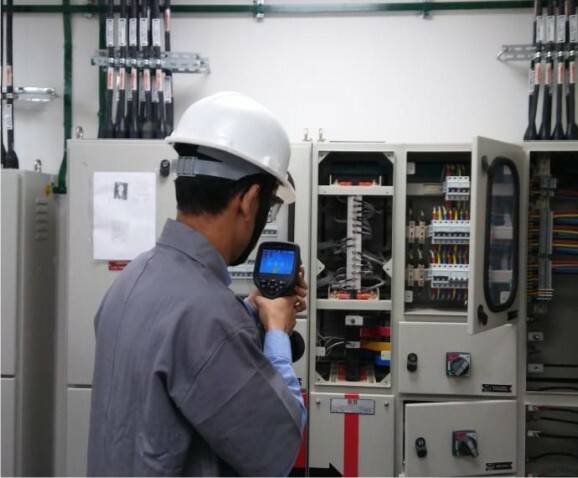 GEPL offers Infrared Thermographic Imaging services for condition monitoring as a part of proactive maintenance of electrical panels & equipment. This services also forms a part of Electrical Safety Audit (ESA). We use FLIR Thermography Camera for this purpose. We follow the stringent standard which takes into account, the heating effect of electrical current flowing through the object under thermography, fairly. This completely eliminates misleading analysis of hotspots captured in thermography. To avoid incident of short circuit or fire due to incipient faults, slack in termination etc.